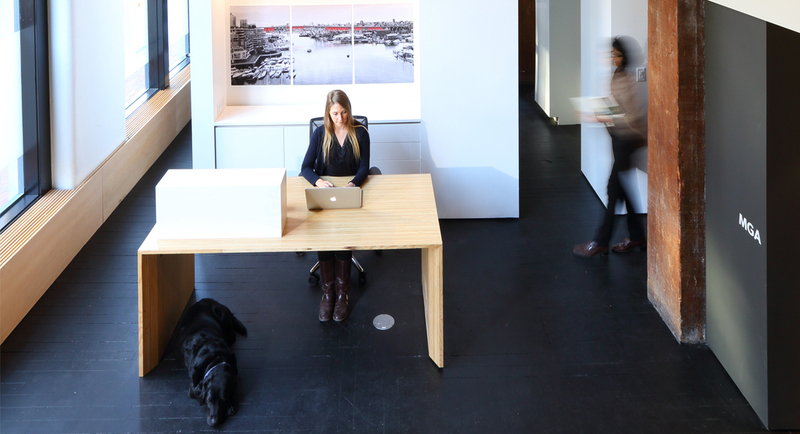 MGA is a mid-sized architecture firm, and we love to call Vancouver home. From Kitsilano our exceptionally talented and experienced staff work on projects from tiny boutique interiors to large institutional buildings and airport complexes, locally and internationally. Our studio houses our architecture, interior design, graphic design, landscape and model making staff. We strive to be leaders in our community through our work, research and personal choices. We strive to make the best choices for the environment in our projects. MGA provides a full scope of architectural services, from pre-design through to completion. Landscape architecture, interior design and wayfinding are integrated into our process. We are adept at reinvigorating existing buildings through renovation, and we pursue high-performing, environmentally sensitive buildings for our clients. Graphic design, architectural rendering, and high quality architectural model-making round out our services. MGA was founded in order to pursue projects we feel passionate about. Our clients and projects engage the local community and tackle climate change. We balance our first world pursuits with meaningful, change-making projects in the developing world. We believe that successful projects are defined by our clients’ goals, above all else. Our job is to make your ambitions reality and to do so within the constraints you help define for us. It has been our honour to collaborate with client groups ranging from Oregon State University to the Aga Khan Institute, on genuinely meaningful civic and private projects.